Spread the cost of a hot air balloon ride voucher this Winter by paying in two, interest free, instalments instead. If you only wanted to pay £40, per person, now and the remaining amount on June 1st 2019 then please select “Yes” from the option labelled “7) Pay Rest in June 2019?”. A link will be sent via email prior to 1st June for you to pay the balance securely online. 3.5 – 4hrs Ballooning experience. Open dated Voucher valid for 9 months. Instant eVoucher available to be sent via email. Commemorative flight certificate signed by your pilot. 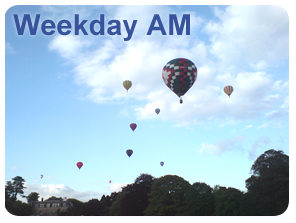 Ability to fly weekday mornings (excluding Bank Holidays). Valid across all of our meeting locations. Champagne, water or orange juice (optional extras). Please Note: Weekday AM Voucher passengers have the option to upgrade if required.